Christine Goldman is a mother of five who took to the path of becoming a doula after 22 years of medical assisting in many settings including obstetrics, family practice, and her own daycare business. Using her children as her motivation, she became a certified doula through DONA, a certified postpartum doula through CAPPA, and a childbirth and lactation educator. 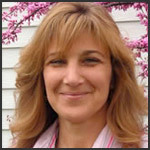 Christine is the co-founder and executive director of Doulas of CNY and has assisted over 275 expectant families. She also served on the DONA Certification Committee and has increased her services to provide birth photography as well. For more information on Christine Goldman visit her website www.doulasofcny.com and view her article contributions below.